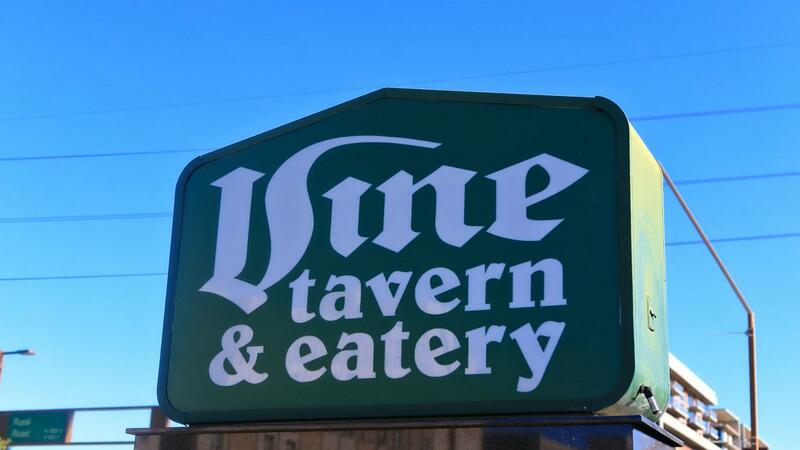 For over a decade, the Vine has been with out a doubt my top 3 wing destination in the valley. Its a mix of College bar, Dive bar and Sports bar but the quality of the food-fair drink prices and friendly staff make it a great Bar. Great wings. A little small, but so delicious. Cold beer and great service too. You can&apos;t beat the original. The vine is my new favorite spot for football, beer, and wings.. in order! Great beer prices , good food for a reasonable price . I would recommend this place !!! Best wings in town. Hot, extra crispy, hits the spot. Unassuming environment, great karaoke fun on Thursday night and steins are like 3 bucks most nights -- and that&apos;s HUGE.